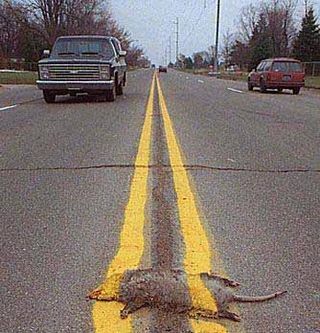 The fastest way to become roadkill to venture capitalists is to become a software company. Software may not be inherently evil (it has created wealth for many people that is in proportion to the pain it has provided to many customers). Software and specifically on-premise enterprise software, however, is clearly dead to the VCs that help foster the industry. And while VCs have been known to make mistakes – sometimes on a grand scale – the mistakes are usually confined to individual companies, say like Webvan, rather than industries as a whole. 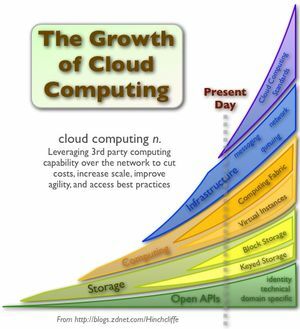 The thriving industry today is the Cloud. It is impossible to overlook the amount of investment in the cloud in recent years. In the last calendar quarter over $1Billion was invested by VCs in technology start ups – a whopping 1/5 of all invesment. Investment overall has been down, but technology and particularly cloud investment has increased. A close second was social media, which inherently is part of the cloud. You don’t need to read the tea leaves to see that the shift is not coming, it has already been happening. CloudBlog didn’t want to rattle off stat after stat on the phenomenon. Instead, we went right to to the VCs and analysts. We interviewed Vishy Venugopalan at the defrag conference in Broomfield, CO. Vishy is a Venture Capitalist from Longworth Venture Partners. He clearly and articulately shows why the VCs are investing in cloud computing. (He also pimped … er discussed … a few of his portfolio companies but we’ll let that slide since CloudBlog has no stake in any of the companies he mentions). Cloud computing saves start ups in multiple ways [thereby attracting VC investment]. First of all there is no software to license; no hardware to buy beyond a personal device such as a PC no heavy labor investment in operating system database, middleware or application programming. All you need is an administrator. This subscription effect really does take you back to an economic model that can let people start a business in the basement or the garage because the costs of getting started are so low. Another important issue for start ups is immediacy. With a conventional approach you could take weeks or even months building, programming and deploying the systems you need to run even a small business. With cloud computing you don’t have to settle for dumbed down applications that come from a shrink-wrapped box and you don’t have to rely on spreadsheets or PC database tools to build a small system that gets you off the ground. Cloud computing gives you access to the same applications that a going concern would use. It therefore also prevents the obsolescence and painful switch over and distraction that a small and growing company might have to go through if it starts out with less than industrial quality technology infrastructure. These benefits are accentuated in different ways in different parts of the world. Get started immediately – no need to think about HW and data centers (and big $), you can start creating your app now. You’ll know you are ready for success – how many times have we heard stories about companies getting highlighted and immediately have their app or site go down – with the cloud you know you can scale. But how does this impact customers? It’s easy to say go where the money goes – that train of thought worked in the 1980s when the VCs invested in client/server. It worked in the 1990s, when the VCs invested in the Internet. It is working now, when the VCs are investing in cloud. The investment in the cloud is massive. So while there may be companies that call themselves cloud but aren’t but get funding anyway, signaling what some may consider a bubble. But the reality that the cloudinvestment that is going on will result in a gigantic shift in the way people consume technology. Consume it in the cloud or you’ll be roadkill.